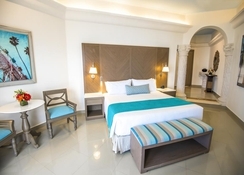 Unbeatably located in front of a beautiful beach, Panama Jack Resorts Playa Del Carmen offers the ideal setting to enjoy a pleasant stay in the Mexican Caribbean. 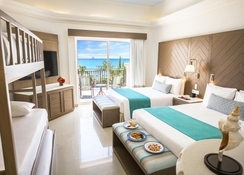 The hotel's all-inclusive plan helps you enjoy the coastal charm of the Mayan Riviera along with authentic cultural experiences amid the azure seas. Additionally, the resort is a perfect setting for an unforgettable wedding. This beautiful property is located in the heart of Playa del Carmen, steps from several restaurants, bars, nightclubs and shops. The hotel features 287 beautiful rooms & suites in different categories, a complete spa, and a host of restaurants and bars. Entertainment reigns high in this hotel as the staff put on shows and theme parties on a weekly basis. The hotel also has a club for teenagers with video games and an area for children with supervised activities. 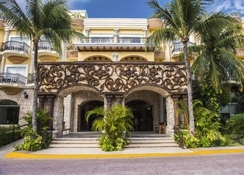 Panama Jack Resorts Playa Del Carmen is located in the heart of Playa del Carmen. The hotel has an impressive location overlooking the sea. It is a block away from Fifth Avenue and 450m from the shopping plaza Quinta Alegría. Being less than 500m from the Calle Corazón shopping plaza and being 2km from the shopping plaza Paseo del Carmen, the hotel serves as an ideal hub for all your shopping needs. 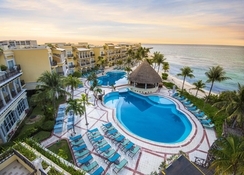 The hotel is about an hour's drive from Cancun International Airport. 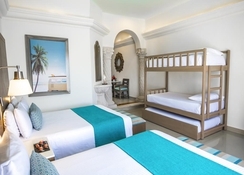 Rooms at the Panama Jack Resorts Playa Del Carmen showcase chic décor, elaborate furnishings and comfortable bedding. In-room amenities at the hotel include Wi-Fi, 24-hour room service, a pillow menu, flat screen TV, telephone, tea & coffee making facilities, hairdryer and much more. 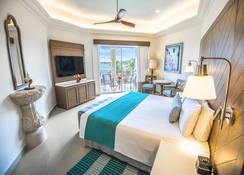 Guests can choose between Standard rooms with double beds, Junior Suites, Junior Suites Ocean View, Junior Suites Oceanfront, Family Junior Suite Oceanfront, Junior Suite Beachfront Walk-Out, Master 1-Bedroom Suite Oceanfront and Master One-Bedroom Premium Suite Oceanfront. The Panama Jack Resorts Playa Del Carmen features several beautiful restaurants serving delicious cuisines. The Panama Jack Coffee Co. Restaurant is a casual coffee house that serves tea, coffee and snacks. Off the Hook serves up some mouth-watering sushi, while Zarape whips up delicious Mexican cuisine. Bella is for Italian cuisine, the Ipanema for Brazilian buffet, Ventanas for international cuisine. The bars that the hotel offers are: Las Olas Bar – beach bar, Jack's 24 – lounge, Jack's Landing – bar and Deck 74 – bar. 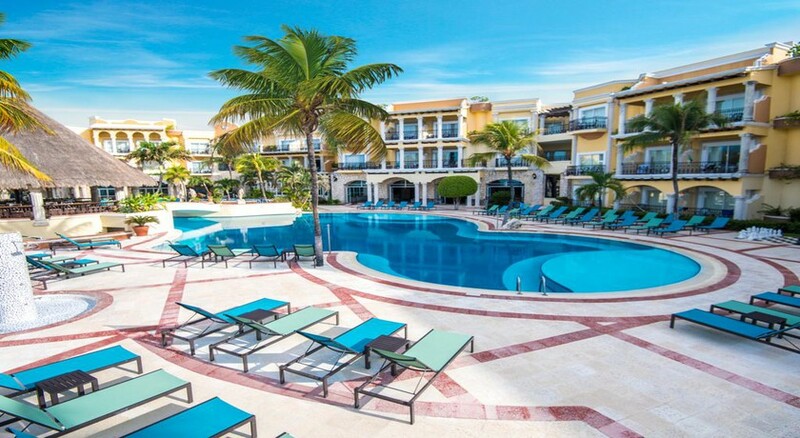 Panama Jack Resorts Playa Del Carmen offers a large freshwater activity pool with facilities for sports like aqua aerobics. There is also a quiet rooftop pool and a rooftop hot tub. Guests can stay active by utilizing the fully equipped fitness centre. The hotel also offers non-motorized aquatic sports and kayaking.